Special Containment Procedures: Facility T, the headquarters location of the Foundation’s O5 Council and appurtenant management bodies, has been constructed around the location of SCP-001, including Building T-01 within the volume of SCP-001. The security protocols for Facility T are set forth in Document T-001:01. Description: SCP-001 is an irregularly-shaped volume of space, approximately 65,000 cubic meters in volume inclusive of space both above and below the original ground level, located at ███████ in the Sinai. Apart from its thaumaturgic properties (described below), SCP-001 is unremarkable, and matter and energy can freely enter and leave it. Archaeological work performed by the French Commission des Sciences et des Arts in the late 18th century indicated the remains of a stone structure at the site dating to the late 2nd millennium BCE fitting the description of an inn. As a result of the construction of Facility T, no trace of the original structure remains. SCP-001 is distinguished as the only known natural location on Earth with absolute zero ambient Akiva radiation. Experimentation has verified that this condition persists even when an emission source of Akiva radiation is brought near or within the spatial limits of SCP-001,1 which indicates that not only does the outer boundary of SCP-001 impermeably block Akiva radiation from crossing it in either direction, SCP-001 absorbs and destroys any Akiva radiation that would otherwise be generated within its volume. 01.001 Personnel D-1082, a healthy human male, is placed in a standard human containment cell within SCP-001 and observed for 120 days. No change. 01.003 Personnel D-2326, a healthy human female, is placed in an airtight vessel within SCP-001. A lethal dose of cyanide gas is released into the vessel. After completion of the test, the gas is vented. No change. D-2326 suffered no adverse medical effects. 01.006 Same parameters as Test 01.003, but subjects are thirty healthy specimens of Rattus norvegicus. Specimens die of cyanide poisoning. Subsequent variations of this test suggest that the life-preserving attributes of SCP-001 are limited to human subjects. 01.009 Personnel D-5337, a human female suffering from stage 4 cancer (metastasized to most organs) and with a prognosis of imminent death, is placed in a standard containment cell within SCP-001 and observed for 786 days. No change, including any advance in cancer symptoms, while subject remained within SCP-001. Subject expired within 48 hours after being removed from SCP-001 after the conclusion of the test. 01.010 Personnel D-5361, a healthy human male, is placed in a crematory within SCP-001 which is then activated. D-5361’s body combusts in manner consistent with normal, control operations. Resultant remains are unremarkable. Subsequent variations of this test suggest that the life-preserving attributes of SCP-001 do not extend to all cases of trauma. 01.338 Personnel D-8874, a healthy human female, is placed in a standard human containment cell within SCP-001 and restrained. Subject’s left leg is amputated above the thigh without anesthetic and without the use of a tourniquet or other constriction of the femoral artery. After amputation, the leg is removed from SCP-001 while Personnel D-8874 remains under observation for a period of 360 days. Subject temporarily loses consciousness (probably due to pain and sudden blood loss) but recovers, and bleeding stops, within 12 hours. Stump heals at accelerated rate. Amputated leg which has been removed from SCP-001 decays at rate consistent with flesh stored under similar conditions. 01.537 Personnel D-13926 and D-13927, healthy male identical twins, age 24, are subject of study. Personnel D-13926 is placed in standard long-term human containment cell within SCP-001 while Personnel D-13927 is placed in standard long-term human containment cell at a different Foundation facility. Subjects are observed for a period of 26 years, 10 months. Personnel D-13927 presents a progression of physical bodily changes consistent with normal human aging, but Personnel D-13926 does not appear to measurably age during the test duration. After conclusion of test, Personnel D-13926 was transferred to a different Foundation facility whereupon that subject presented an accelerated progression of changes consistent with aging. Due to SCP-001’s properties, it is also used as a control site for the Foundation’s thaumaturgic research program, including the development of applications for instances of SCP-2336-A. 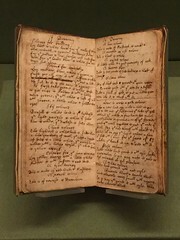 Manuscript “Observations upon the Substance of God” (Sir Isaac Newton). Foundation Collection. … In Matters of natural Philosophy and of understanding the Substance of the almighty God, we must begin our Investigation with the Evidence of our Senses, which includes the Testimony of holy Scripture. For no Man hath seen God, but the Perception of God may come from observing His Creation, and from the careful Study of holy Scripture. Consider the Teaching of these Verses. Many learned Scholars focus their Attention on the Second of these Verses, in which Zipporah, the wife of Moses, performs the Rite of Circumcision and, in so doing, saves her Husband from the wrath of the almighty God. Therein, say the Scholars, lies the moral Lesson that none, not even God's Prophet, shall be exempt from the Laws of His Covenant. But consider the First of these Verses, which is so little Understood. The almighty God, having formed an Intent to kill Moses, attempted to do so and failed. This Episode is the Key to the understanding of the Substance of God. For we must understand that if Scripture is Infallible, and Scripture tells us that the almighty God tried to kill Moses but failed, then infallible Scripture sayeth that God is not omnipotent, or at least that God's Power does not extend to that particular Place.
" … The newly-invented thaumometric apparatus permitted our Order to verify what we had long suspected, namely that the Divine Grace - or as some of our brethren are more apt to put it - the thaumaturgic force - was a phenomenon of actual, measurable substance. One of my colleagues proposed the name "akiva" as the unit of measurement for this phenomenon, after some long-dead Hebrew martyr. This philosophical and technological breakthrough prompted the initiation of several projects, including a comprehensive mapping of conditions and variations of akiva throughout the globe. This was not to be a mere frippery such as the charting of the source of the Nile or the naming of some inconsequential sea-rock- rather, the thaumographic map will be an invaluable tool in allowing our Order to harness the powers of the Divine Grace. 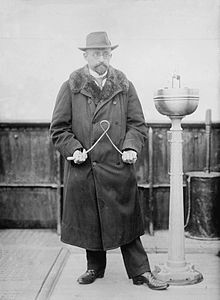 "And so, we organized cartographic teams, each equipped with a thaumometric apparatus, to commence the mapping project, with special concentration on regions of particular interest. “In a particular corner of the Holy Land, Napoleon Bonaparte showed us the way. As you know, Napoleon’s campaign into Egypt in 1798 was accompanied by the Commission des Sciences et des Arts, which completed a comprehensive survey of that country.4 Volume eleven of that report charted the geographic locations of historic locations, including the biblical Mount Horeb. And so, fortified with this information, a team of Freemasons and members of our Hermetic Order, led by myself, traveled to the Sinai to retrace the steps of Moses from Mount Horeb back to the court of Pharaoh. Tonight, I am pleased to report to our Order the success of this endeavor. We found the Inn." … Having studied the Inn, and testing its properties, only one conclusion can be reached. God has a blind spot, and we have found where it is. The properties of the Inn present a number of thaumometric engineering opportunities beyond merely hiding from the Angel of Death. We now know that the ambient Akiva radiation level within the Inn remains at zero regardless of what happens inside. By implication, since this is God’s blind spot, there can be no theological consequence to an action taken within its boundaries. Although I am no physicist, our colleague Nikola has described it to me as being essentially a Faraday cage for sin. The suitability of such a location as the headquarters of the central decision-making body of our new Order should be obvious. The frequency and severity of anomalous incidents appears to have dramatically increased since the 31 July incident at Site-36;6 As we have discussed, this episode underscores the need for the Foundation to revisit and expand its mission charter. To date we have been a research organization. But emergency times call for emergency measures, and it has become imperative for our organization to do more than contain the specimens that we study. We must take steps to secure those anomalies not already within the Foundation's custody, both in order to protect the anomalies for further research and to protect humanity as a whole. The Foundation’s operations at Facility T have for some time been a sticky point vis-à-vis our relations with the counterparty. Recent developments, too voluminous to be mentioned here, have prompted the Foundation’s senior management to seek a rapprochement with the counterparty, both to facilitate ongoing research and containment efforts, to avoid accelerating a theoeschatalogical catastrophe, and to maintain the efficacy of certain Foundation protocols such as the containment regimen for SCP-1844. At senior management’s direction, then, my office undertook negotiations with the counterparty. The points summarized below represent the outcome of these negotiations. 1. No natural person may physically remain within Facility T for a continuous period in excess of 120 years. This limit applies to members of the O5 Council, other members of the Foundation management and staff, test subjects, and others. The Foundation is expected to enforce this limitation. 3. The counterparty shall not smite, strike down or otherwise exact wrath upon any of the Foundation personnel named on Exhibit A (as amended from time to time by the mutual agreement of the parties) without at least 90 days’ written notice and an opportunity to cure the transgression; provided, however, that this clause shall not be applicable in the case of a tribulation of general applicability. 5. The Foundation and the counterparty shall use commercially reasonable efforts to cooperate with respect to the containment of the adverse entities described on Exhibit B (collectively, the “Angra Mainyu”). Please contact me to discuss the points of understanding before the formal agreement is completed. 1. See Research Report SCP-001.08.P (Relic of Tooth of the Buddha), 1974. 2. A ninth O5 member, who left Building T-01 to attend a personal matter, was killed in a meteorological event before her scheduled return. 5. Westcott co-founded an organization that is one of the Foundation’s predecessor entities. 6. While no causal link to the antimonad test has been conclusively proven as of yet, the timing is noted. 7. Stone tablets are expected, but I have asked for a .pdf file as well. 8. The precise logistics of this communication have not yet been worked out, but I suspect that it will consist of writing them on parchment and then burning them in a brazier located outside of Facility T.
9. The counterparty insisted upon this clause. Because the clause does not actually compel any action but merely forbids it, I applied my discretion to accept this point. I assume that the first-person draftsmanship will be cleaned up in the final version.